PART 1 of the the book gives a history of how men have been providers and protector since the beginning of time, and talks about how this has made them thrive. Then, it talks about how the world has become so gender equal that many men are no longer feeling needed. On page 46, the author says, "Our gender-blind society has left men no way to define themselves as uniquely male." FYI: I read several parts from this section to my husband to get his "take" on it, and he DID agree with most of what the author discussed here. PART 5 is mainly about HOW A WOMAN CAN HELP her husband - physically, emotionally, and spiritually. Not everything in this section completely applied to me, but this was really the most helpful part of the entire book. For me personally, it gave good reminders that my husband is different than me, but that we ARE still a team; and treating my teammate (or, rather, my soulmate) with love, respect, kindness, and honor - appreciating him and his differences, and even smiling at him every once in awhile - can make a huge difference in how the "game" is played out. 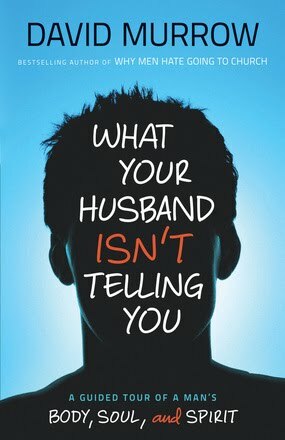 Wives, if your husband has not been communicating with you too well, or you just want some insight into what he may be thinking and why (even if just out of curiosity), this book could be a good one for you to consider picking up. It couldn't hurt, and it might even help. NOTE: I received this book free for review from Bethany House Publishers, and I have expressed my own opinions.